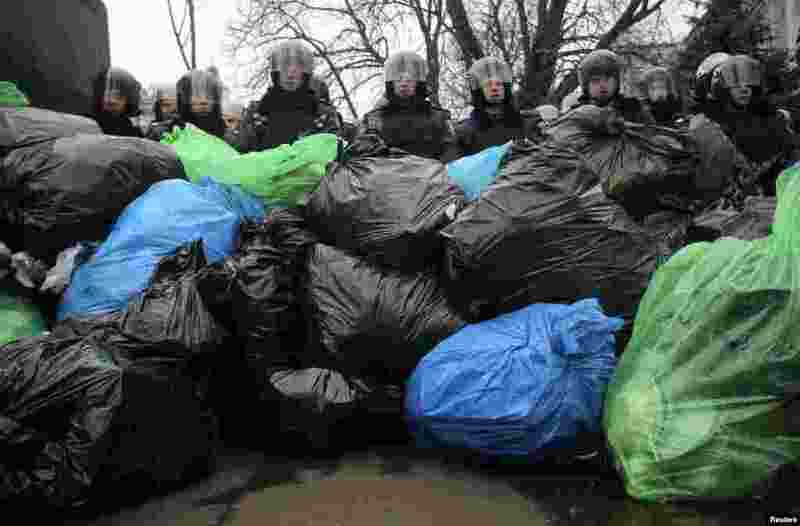 5 A pile of garbage bags left by pro-European integration protesters lies in front of riot police officers in Kyiv, Ukraine, Dec. 20, 2013. 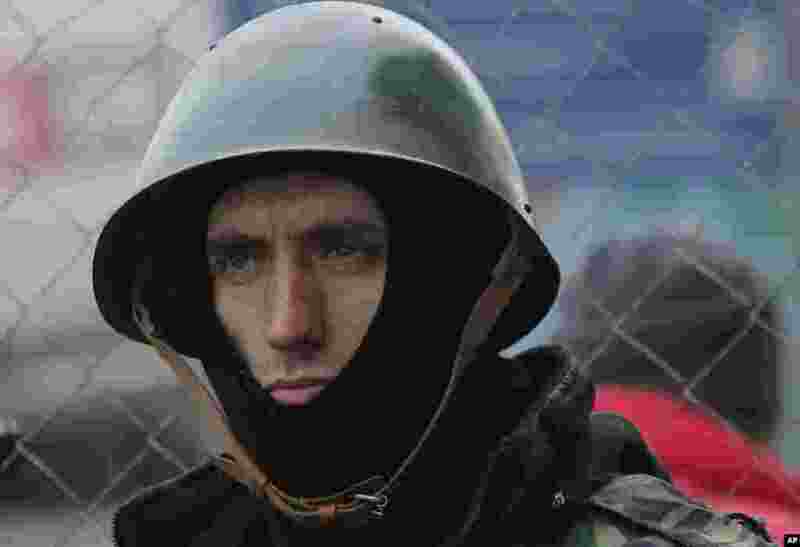 6 A Pro-European Union activist guards an entrance to the tent camp in Independence Square in Kyiv, Ukraine, Dec. 19, 2013. 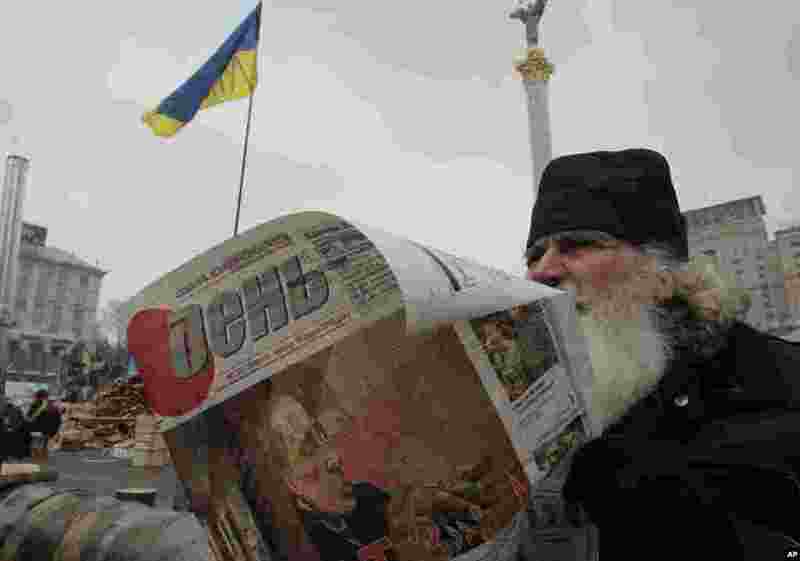 7 A man reads a newspaper with a picture of Russian President Vladimir Putin on the front page during a pro-European Union rally in Independence Square, Kyiv, Ukraine, Dec. 19, 2013. 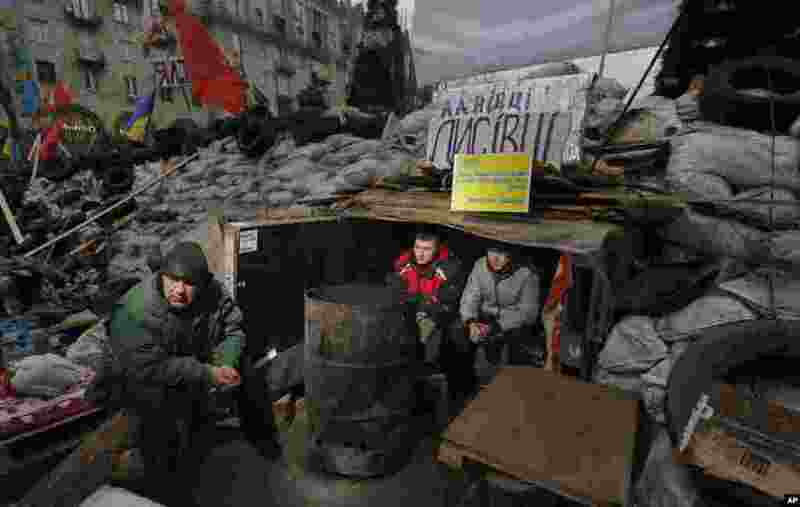 8 Pro-European Union activists warm themselves sitting in their shelter inside a barricade during a rally in Independence Square, Kyiv, Dec. 18, 2013.